In the last few years, with the rapid development of the healthcare infrastructure, the global market for active implantable medical devices has been gaining traction. The market is likely to register a healthy growth in the next few years. The rising burden of cardiovascular diseases and the growing prevalence of neurological disorders are the key factors that are anticipated to encourage the growth of the global active implantable medical devices market in the next few years. The increasing funds and investments in order to develop innovative and technologically advanced products are estimated to accelerate the growth of the overall market in the next few years. The expansion of the applications of neurostimulators and the favorable reimbursement scenario for the procedures of ENT in several developed nations is another key factor, which is likely to encourage the market growth in the near future. On the flip side, several issues related to the use of implantable medical devices and the unfavorable reimbursement scenario are projected to restrict the growth of the global active implantable medical devices market in the next few years. 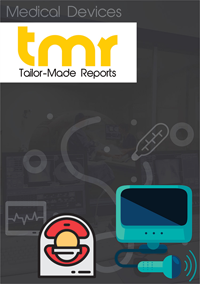 In addition, the several issues related to the use of implantable medical devices are further estimated to curtail the growth of the market in the near future. Nonetheless, the development of the subcutaneous implantable cardioveter defibrillators is expected to offer promising growth opportunities for the market players. The emerging nations are projected to encourage the growth of the overall market in the near future. Among the key regions, North America is projected to witness high growth in the next few years. The development of new products and innovations are anticipated to accelerate the growth of the North America market in the next few years. The leading players in the market are predicted to focus on research and development activities to enhance their market position in the coming few years. The active implantable medical devices market is expected to grow substantially and register a progressive growth rate in the next few years. The rising spending on the development of the healthcare infrastructure, especially in emerging nations is expected to encourage the growth of the market throughout the forecast period. In addition, a significant rise in the geriatric populations and the increasing number of chronic disorders are predicted to boost the demand for advanced active implantable medical devices in the near future. The rising number of cases of neurological and cardiovascular disorders and the favorable reimbursement policies for the development of new medical devices are anticipated to encourage the growth of the global market in the next few years. In addition, the rising number of funds and investments to develop innovative and advanced products is likely to accelerate the growth of the overall market in the near future. On the other hand, several issues related to the healthcare reforms, particularly in the U.S. and the rising concerns associated with the use of implantable medical devices are anticipated to curtail the growth of the global active implantable medical devices market in the next few years. Moreover, the unavailability of essential reimbursement policies and the high cost of implants are projected to hamper the market’s growth in the near future. The key players in the global market for active implantable medical devices are making notable efforts to introduce new cost-effective products in order to create opportunities in emerging economies. This is projected to fuel the growth of the overall market in the coming years. However, the lack of skilled professional is considered as one of the major challenges faced by the market, which is expected to restrict the market’s growth in the near future. In the recent few years, North America held a lion’s share of the global active implantable medical devices market and is projected to remain in the position throughout the forecast period. The growing focus on development and advanced and innovative products and the rising preference of neurological and cardiovascular disorders are anticipated to encourage the growth of the North America market in the coming years. Moreover, the rising expenditure on healthcare facilities and the increasing awareness among consumers regarding the availability of effective products are estimated to accelerate the growth of the market in the near future. Furthermore, Asia Pacific is projected to register a progressive growth rate throughout the forecast period. The rising geriatric populations and the increasing incidence of chronic diseases are some of the vital factors that are anticipated to fuel the growth of the Asia Pacific market in the near future. In addition, the development of the healthcare infrastructure in emerging economies is expected to contribute towards the development of the market in the near future. The global market for active implantable medical devices is projected to witness a high level of competition among the key players in the next few years. The increasing emphasis of players on technological advancements is estimated to encourage the market’s growth in the coming years. Some of the leading players operating in the active implantable medical devices market across the globe are Medtronic PLC, Biotronik Se & Co., Kg, William Demant Holding A/S, Nurotron Biotechnology Co. Ltd., Abbott Laboratories, Livanova PLC, Boston Scientific Corporation, Cochlear Limited, Med-EL, and Sonova Holding AG. Furthermore, the leading players in the market are predicted to focus on untapped markets in order to enhance their market presence and attract a large number of consumers in the coming years. Moreover, the increasing number of mergers and acquisitions is estimated to contribute towards the overall development of the global active implantable medical devices market throughout the forecast period.